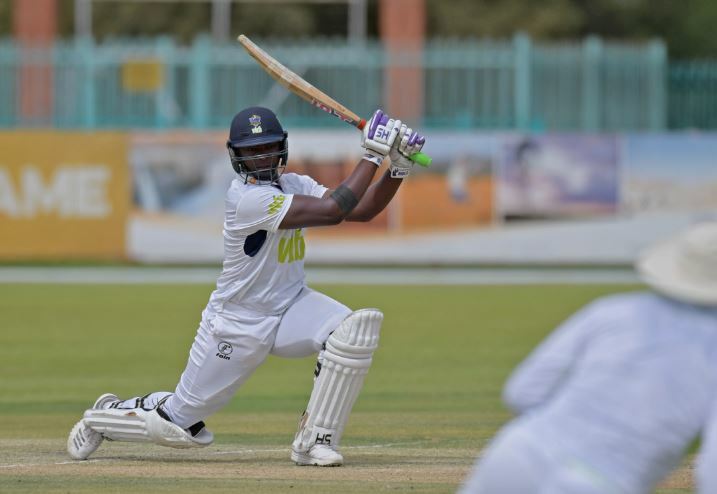 Grant Mokoena struck 99 for the Knights before late wickets stifled their progress on the opening day of their 4-Day Franchise Series encounter against the Warriors in Kimberley on Monday. The right-hander faced 200 balls and struck 14 fours and was out one shy of his century as the hosts closed on 284 for nine. There was also a strong contribution from Keegan Petersen, who made 82, although the pair lacked much-needed support from their team-mates at the Diamond Oval. Anrich Nortje (4/46) and Simon Harmer (3/88) shared seven wickets to ensure the contest was evenly poised at stumps. 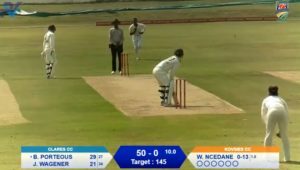 The Knights won the toss at the start of the round five encounter, but their decision to bat first looked like the wrong one after they lost Luthando Mnyanda (one), debutant Raynard van Tonder (13) and Pite van Biljon (six) inside 19 overs as they struggled to reach 30 for three. But a 182-run fourth-wicket partnership between Mokoena and Petersen helped sway the initiative back in favour of the Knights. That was when things went wrong, though, with Harmer striking initially to end the stand with the score on 212 for three. Things only got worse from there, with Petersen and Andries Gous (23) following not long after. Three more wickets came with the new ball.